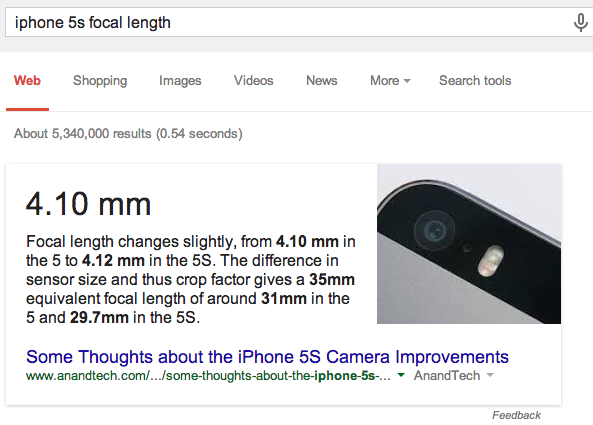 I mentioned in a previous post that Google answers complicated questions using information from web pages. 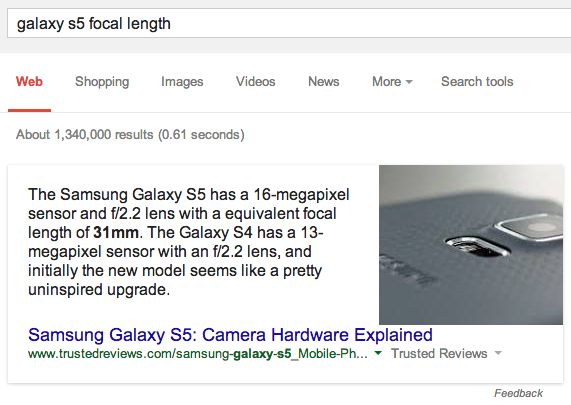 Now Google also shows images next to the relevant snippets. Here's an example for [galaxy s5 focal length]. 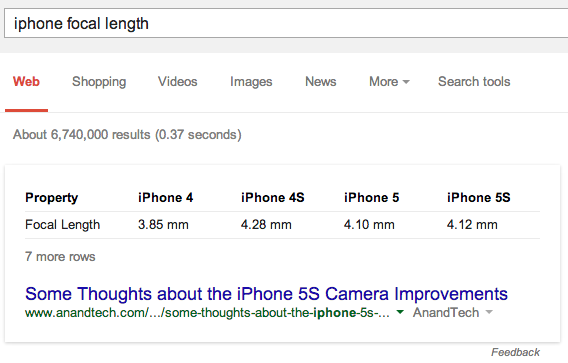 A search for [iphone focal length] returns a row from a table that compares focal length for the latest 4 iPhones.